Our extensive Lynda review, a huge education site offering subscription based access to thousands of online courses. Overview, pricing and advantages. This Lynda review is designed to help you figure out if this is the right e-learning site for you. 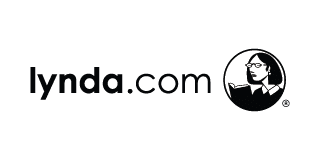 Also known as LinkedIn Learning, Lynda is a subscription-based site that offers classes in business, technology, and creative skills taught by industry professionals. For $29.99/month (or $24.99/month if you pay annually), you will have unlimited access to all 6,000+ courses, as well as all features of LinkedIn’s Premium membership. Classes can be accessed through your computer or through the Lynda app, and there is even a handy offline viewing feature, so you can keep studying on the go. When you complete a course, you will receive a certificate that you can use as proof of your accomplishment. Lynda is one of the oldest online learning sites, having launched just over twenty years ago. They serve a diverse audience, working with students, leaders, professionals, managers, and more. Over the years, the site has helped more than 10,000 organizations to teach business and creative skills, as well as software and technology, and since their classes are available in five languages, their reach has been global. While Lynda.com was always a part of LinkedIn, it has recently been merged with another service, LinkedIn Learning, and is now more closely associated with its parent site. Since Lynda is a subscription-based site, it works a little bit differently than those that charge per course. In order to start, you will need a membership, which can be purchased either through Lynda or by signing up for LinkedIn Premium. The normal monthly fee is $29.99, but if you purchase an annual subscription, it will be $5 cheaper per month. For new accounts, you will be offered a free one-month trial, so you can try out the site before making a decision. Once you have a subscription, it is just a matter of starting a class. You can pick a specific category or browse the entire library, and when you find a class that interests you, you can click on it to see more details. Each class will give you some overview information, as well as an estimate of how long it will take to complete. Most course on Lynda are short, requiring anywhere from ten minutes to a few hours, but a handful will take more time. From there, you simply complete the class by watching the videos and doing any required work, and you will receive your certificate of completion. Lynda fills a specific niche in the online education world. Since it is an extension of LinkedIn, which is focused primarily on professional development, networking, and jobs, this site is limited to that sphere of education. Classes range from incredibly brief and shallow to several hours of work, but even the longest classes are meant to teach a single skill or practice, not a framework. The teachers are all vetted professionals and the price is great, especially if you want to do a lot of learning in a short period of time, but make sure they offer what you’re looking for before you jump in. Our Lynda review concludes that if you’re looking to grow professionally, this is a solid option, but because of its specificity, it may not be for everyone. Be sure to check out the alternatives on our comparison page. No reviews yet. How about you share yours?